This woman called Jabez’ mother’s case is a serious one. She was impulsive. She named her son a terrible name because of what she was going through at the time of birth. When I was much younger, my mum worked in General Hospital and I would go meet her after school hours. Her office was just beside the maternity ward and I heard several women going through labour utter all sorts of things. 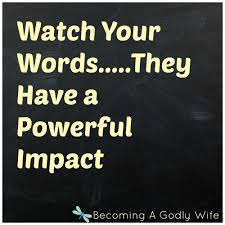 I heard some cursing their husbands; others proclaiming they would never get pregnant again; some others curse themselves too while others simply called on God or sang or screamed without uttering meaningful words. I saw all that as a child and it won’t leave me. My turn came and I knew what LABOUR was. It was tough, but I had determined I would not ensnare myself with my words. I don’t know what actions you have taken or words you have spoken in ignorance because of the heat of pressure you were experiencing at that time. Maybe you have hurriedly made life-changing decisions, lost opportunities, ended/severed God-ordained relationships, placed a curse on yourself or others. Plead for God’s mercy. I pray that the Blood of Jesus that speaks better things than the blood of Abel will speak mercy this day in Jesus’ name! We must be very careful what proceeds from our mouths. Jabez’ mother uttered life changing words on her son. His fate was almost sealed in negativity forever. Thank God he met with mercy. I believe self-control is the medicine for the disease called impulsiveness. And that’s part of the fruit of the Holy Spirit. We need the Holy Spirit to be able to overcome this negative tendency.